How much is the Dickies for Business membership? Who can apply for a Dickies for Business account? Do you have to be a U.S. resident to apply for a Dickies for Business membership? Can I have multiple employees on a Dickies for Business account? I have a Dickies.com account, so can I use the same login profile for Dickies for Business? How do I apply my discount I received from my Dickies for Business email? Can I combine my Dickies for Business membership with any other coupons or offers? Is the Dickies for Business discount available in Dickies’ stores or authorized retailers? Can I make tax-exempt purchases? Can I purchase Dickies for Business products for resale through my business? Do you offer embroidery for Dickies.com purchases? Do you have recommendations for laundry service? Businesses can apply with a verifiable tax ID number. They'll sign up and go through a quick approval process. The Dickies for Business program is currently for U.S. residents only. We hope to be able to expand this to residents outside of the U.S. in the future. Log on to your Dickies for Business account and you're free to update any of your account information. You can have multiple users. Once the initial account is established, various users can sign up using your company assigned account number. To deliver the best service possible, they're two separate accounts. However, once you create a new Dickies for Business account, your purchases on this account will be applied to your account status. Once the owner is all set up with a Dickies for Business account, they can freely share the Company ID with the employees. Next, a Company ID field will appear where they’ll simply enter the Company ID, complete the rest of the form and click apply. A verification is not necessary because the owner has already received one. It's easy! 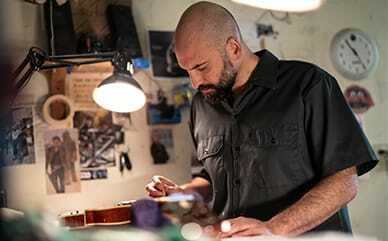 Simply log on to your Dickies for Business account on Dickies.com and your discount will automatically be taken off when you check out. Don't forget that online purchases may only be shipped to customers who have a valid U.S. address. Also, your Dickies for Business discount isn't available on purchases of gift cards, shipping charges or tax, and may not be combinable with other discounts or offers. 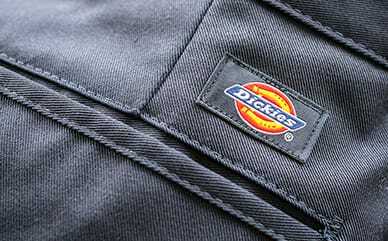 Currently, Dickies.com is the only place you can apply the Dickies for Business discount. If you need help with a large order and want to visit a store, feel free to ask any one of our helpful store associates for more information on in-store B2B sales. Although we wish this was an option, this service is not currently available as part of the Dickies for Business membership. Please visit our returns page for complete instructions. Yes, if you are an established Dickies reseller account. The benefit is coming soon. If you need laundry service or a recommended local dealer, search for distributor options in your area.